In context: After a surprising turnout at a Farming Simulator Championship last year, developer Giants Software is creating a full-fledged Esports league around Farming Simulator 19. This move has the potential to completely change the narrative about what constitutes an Esport. Competitive gaming has grown dramatically over the last few years with popular Esports titles like Dota, League of Legends and Overwatch. These games are often filled with fast and frenetic gameplay that can involve either Twitch shooting or high level strategy to out-flank an opponent. Farming Simulator doesn't have that kind of gameplay, but that's not stopping developer Giants Software from making Farming Simulator League, a competitive e-sports tournament based on the popular PC game. 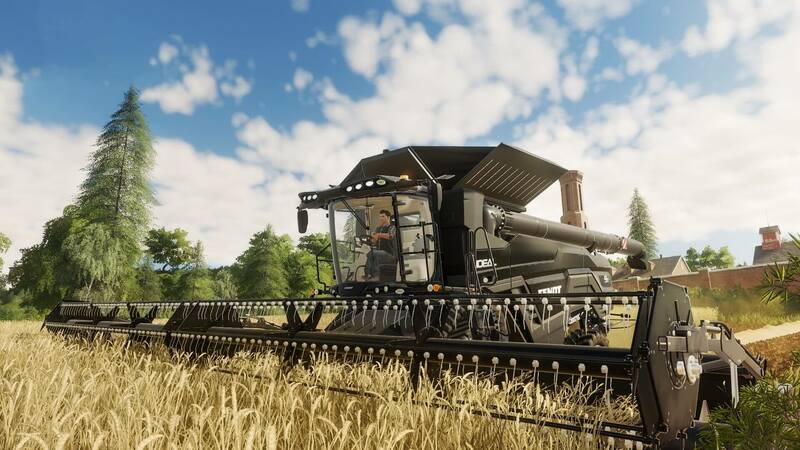 The Farming Simulator League will be built around teams of three and feature 10 tournaments all across Europe that will conclude with the finale at FarmCon 2020. The venues will include major gaming trade shows like Gamescom and the total prize pool will be upwards of $284,000. While sponsors for the League include the usual suspects like Intel and Logitech, Giants Software wants teams themselves to be backed by actual farm-tech manufacturers. In an interview with Esports Observer, CEO Christian Ammann pointed out that while farm-tech makers were very eager to sponsor the Farming Simulator League, the company did not want them to sponsor both the league and individual teams for fear of conflicting interests. Ammann was intrigued by the idea of competitive virtual farming from the Farming Simulator community itself. Players would compete online to see who could stack bales of hay faster. From there, Giants Software experimented by debuting the first Farming Simulator Championship at the AgriTechnica 2017 expo in Hanover, Germany. While the company knew it would attract a passionate crowd, they didn't expect their booth to fill up as hundreds of onlookers watched a three-way hay stacking contest. From there, the company began the arduous task of building an e-sports league from scratch including creating a new game mode specifically for competition. Since the franchise was first released in 2008, the game has earned quite a following among the simulator community. In fact, the 2019 edition sold one million copies in just 10 days. That's quite a feat for game where mastering a forklift is a reward in and of itself. It goes to show you that there are plenty of people who prefer the tense moments of stacking hay rather than a headshot.